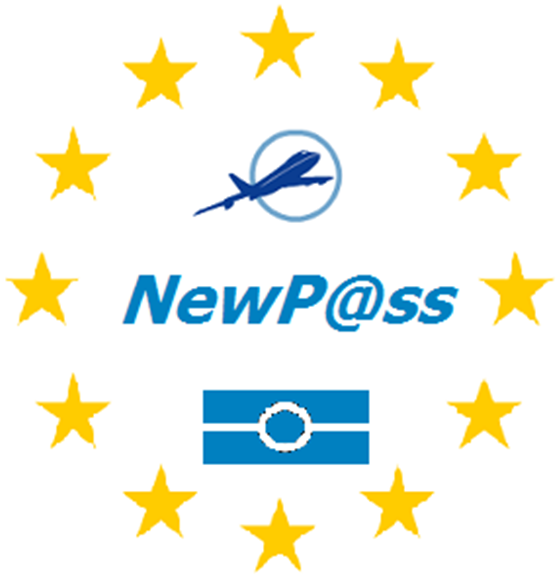 To the NEWPASS official website! NewP@ss is a CATRENE project. The NewP@ss project targets the development of advanced (microelectronics and embedded SW) secure platforms suitable for the coming of the Third and Fourth e-Passport generation currently under discussion at the ICAO (hence usable and recognized as approved travel document at European and International level), but which could also be used for hosting dedicated e-services applications of both government (e.g electronic visa) and/or private nature (boarding ticket support, airline services,..). These new e-passport technologies will be introduced from 2015 to 2020 and represent a complete shift of paradigm which will be demonstrated in the project both through innovative and sometimes disruptive technology concepts (high-speed interface, multi-applicative embedded SW platform, on-card components (display, keypad,..), mobile and low cost readers but also use cases showing a large scope of new possible functionality (including in an international European airport). 15 partners from 5 Eureka countries are working on the project concept and realization, which will also address interoperability at application level, testability tooling and proactive input to world standardization.